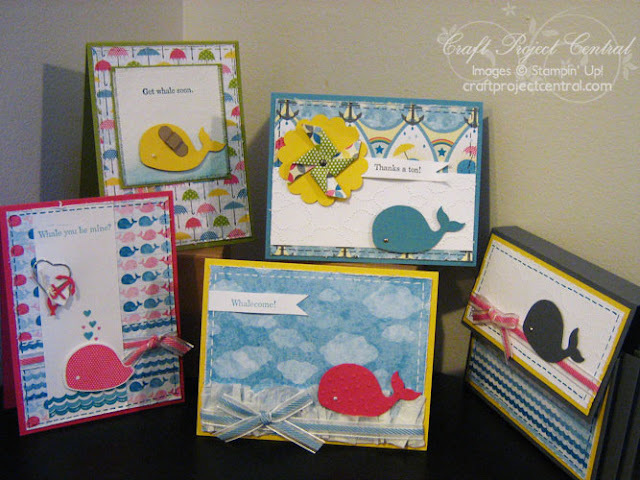 Start 2013 off with a cute and ‘punny’ card set featuring a brand new set in the Spring Catalog! When you’re done you will have a Valentine’s Day card, a Thank You card, a Get Well card, and a Welcome Baby card as well as a reusable box to store them all in! This project makes for a fun class or club project too! This super cute set was created by Tara! If you have a chance swing by Tara's blog to let her know how stinkin' cute her project is!